Are We Ready to Step Up and Serve Under Obama? The need for young people to serve their country is among Barack Obama’s least articulated issues. All you young people, I want you to know what I’m going to be asking–I’m going to be asking for all of you to serve this country [silence], serve in the military [a lonely whoo! ], serve in the Peace Corps [silence], serve in the homeless shelters [silence], serve, in some capacity, for your community [silence], and in return, we will guarantee that every single one of you can afford a college education. [crowd roars]. The need for young people to serve their country is among Senator Barack Obama’s least articulated issues, and yet it seemed to be the most necessary. The above transcription differed from his prepared notes, which simply outlined his commitment to young people who serve. Faced with the roaring crowd of college and high school students, he deviated from his notes to speak to them in a manner that was almost pleading. The crowd seemed dumbfounded by a promise that requires action on their part. 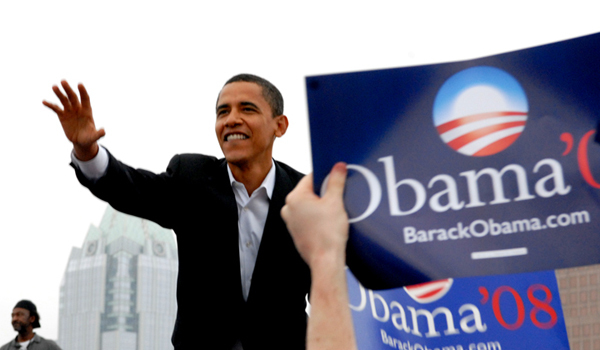 It is a strange coincidence that Republican President George Bush and Democratic Presidential nominee Barack Obama find a common ground on the issue of community service. After all, Obama is planning to sweeten the college tuition pot with $4,000 per year, per student, in exchange for 100 hours of community service. This after Bush’s 2002 call to double the enrollment of the Peace Corps has fallen on largely deaf ears. In both instances, it remains to be seen whether the American student—really, every American under 30—is truly ready to answer the call. In a weakening American economy, do we want our youth to work only for financial incentive? Strangely absent from both Obama’s and Bush’s statements is any reference to AmeriCorps, the domestic community service initiative that provides approximately $4,000 in tuition vouchers in exchange for 10 months of service. 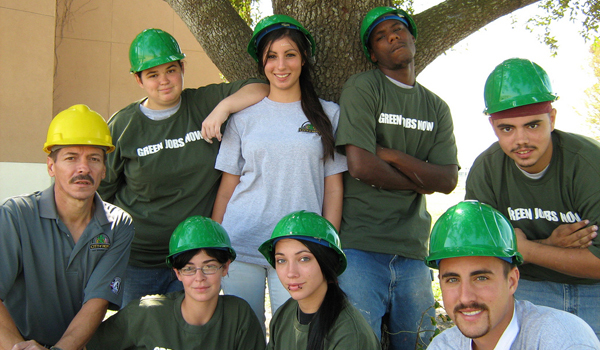 AmeriCorps positions also include a nominal stipend and—in some instances—housing. The interest on student loans is also paid during an AmeriCorps volunteer’s service. The U.S. Army pledges an enlistment bonus ranging from $25,000 for all jobs, to over $51,000 for certain specialties on a 3-year enlistment. This is in addition to tuition reimbursement, a steady paycheck, and housing stipend for those with a spouse and/or children. Our government leaders’ policies seem to imply that the problem lies with a lack of incentive, but current initiatives suggest otherwise. Sign-on bonuses, tuition reimbursement and monthly stipends are all tangible rewards built into the myriad of youth-oriented federal service programs. Are our leaders fighting an uphill battle with apathetic youth, or are they simply fighting the wrong battle? 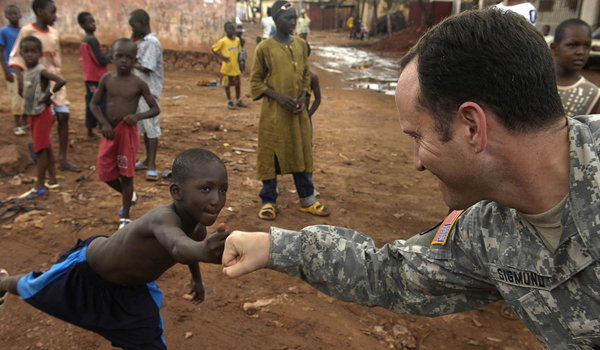 Military and Peace Corps enrollment continues to dwindle in spite of increased incentives. Since its inception under Democratic President John F. Kennedy, the Peace Corps has seen a drop from approximately 16,000 members annually to just half that number. Military recruiters have been struggling to not only bring in new recruits, but to keep the ones who have already signed up. Even organizations such as volunteer fire departments all over the United States are suffering from rapidly declining numbers. Food banks, such as the Rio Grande Valley, can barely muster donations much less the labor needed to package and deliver them. The growing number of youth who are speaking out suggests that a desire for cash, coupled with youthful naivete, is what is causing this rift. Young men like James “Corey” Glass, a former California National Guardsman who abandoned his unit in Iraq and sought asylum in Canada, speak of an innocence crushed by the half-truths of the government. With many non-military organizations available to “defend people and fill sandbags,” Glass’s comments seem disingenuous at best. Such antics convey the image of youth who only serve as much as their expectations will allow. Are the youth truly turning away from community service? Not if you listen to the Corporation for National and Community Service, a federal agency that says volunteering among college students has grown more than 20% between 2002 and 2007. This seems to be in stark contrast to the falling rates seen across federal programs. What’s most telling is that the study finds a growing trend of “episodic” volunteering, where students are participating in different projects for less than two weeks at a time. This may suggest something bigger—that today’s youth may not even be looking for financial gain, but rather for an opportunity to make a difference. But demanding a short term emotional benefit may turn out to be more selfish than demanding compensation. Many programs have suffered from a lack of long-term dedicated volunteers who bring skills and expertise not found in short-term volunteers. Volunteer programs such as Casa Do Caminho, demand six months from their volunteers. Anything less, and the expenses incurred by the organization–which only include simple housing, a ride from the airport, and meals–fail to outweigh the gains. While both presidential candidates have well-argued plans to tap energy resources from coal to switchgrass, neither seem to have a plan to tap the renewable resources of youth. It’s clear that this generation wants to make as big a difference as any generation prior, yet all of our leaders want to relegate these efforts to a simple bid to get college loans forgiven. 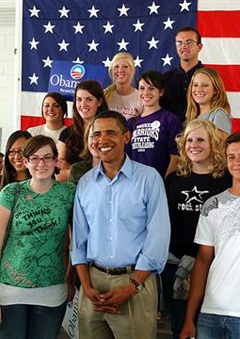 As Obama asks the youth of the greater La Crosse area to serve, I’m left feeling embarrassed. The people with the courage to serve without incentive seem to be a dwindling minority in a time where we need them to be the majority. It’s clear from their silence that the youth will not hear the call to service coming from even the most personable of federal legislators. The next generation needs to hear that call from those who have served—those who have recently given their time to the Peace Corps, the armed forces, and to volunteer organizations at home and abroad. They need young leaders to demonstrate just how much of a reward virtue can be. No president can single-handedly repair the damage that has been done to our national interests, foreign and domestic. We need articulate young people to bring critical thinking to pockets of dangerously narrow-minded ideologies. And in a struggling economy, we need them do it with an incentive that goes beyond money. What this crisis has taught us is that at the end of the day, there is no real separation between Main Street and Wall Street. There is only the road we’re traveling on as Americans – and we will rise or fall on that journey as one nation, as one people. Can we afford to sit lazily in the back, staring out the window? Or are we going to pitch in for gas or offer to take a shift at the wheel?